The Brandenburg Gate (Brandenburger Tor in German) was erected as a landmark from 1788 to 1791 located on the Paris Square (Pariser Platz) by the Prussian King Friedrich Wilhelm the second. 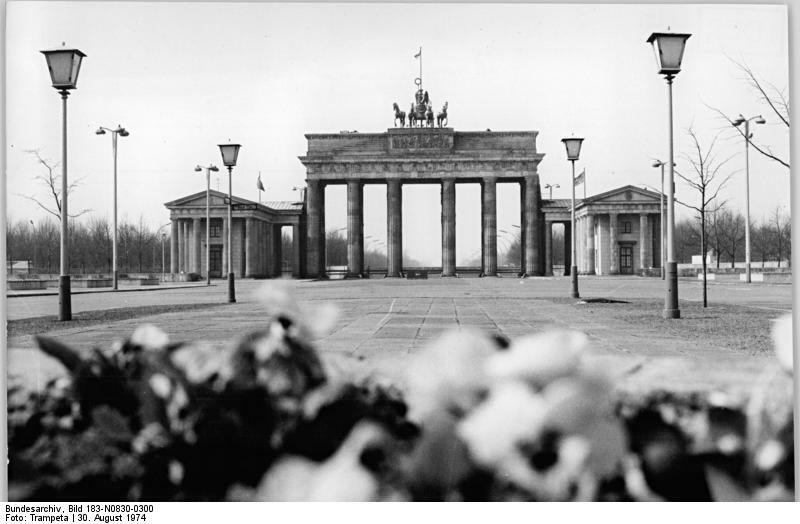 The Brandenburg Gate marks the border between today's districts of Tiergarten which was in the British sector and Mitte in the Soviet sector. To the east the street Unter den Linden leads towards the easetern city center and to the west the street of June 17th. 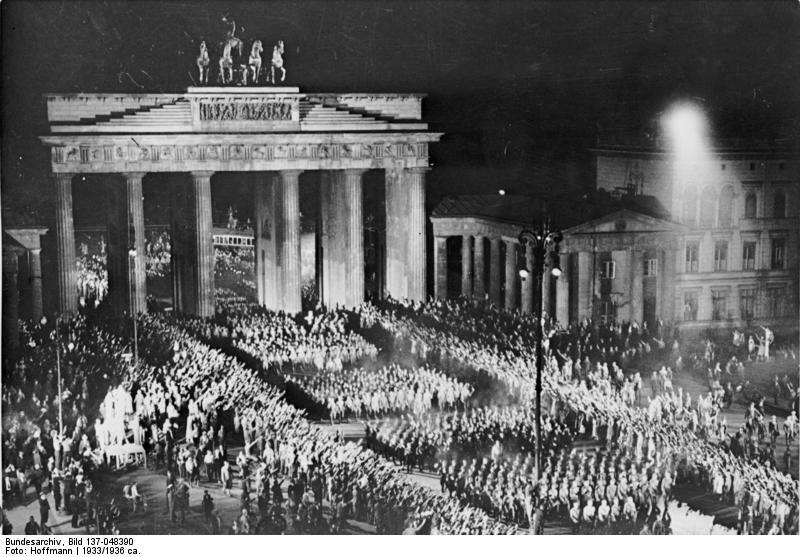 Located between the Reichstag and the Reichskanzlei were Hitler ruled from it was often used for parading troops or party organizations like the SA. This area was also the last part to be held by troops of the Waffen SS despite being surrounded by Soviet troops. 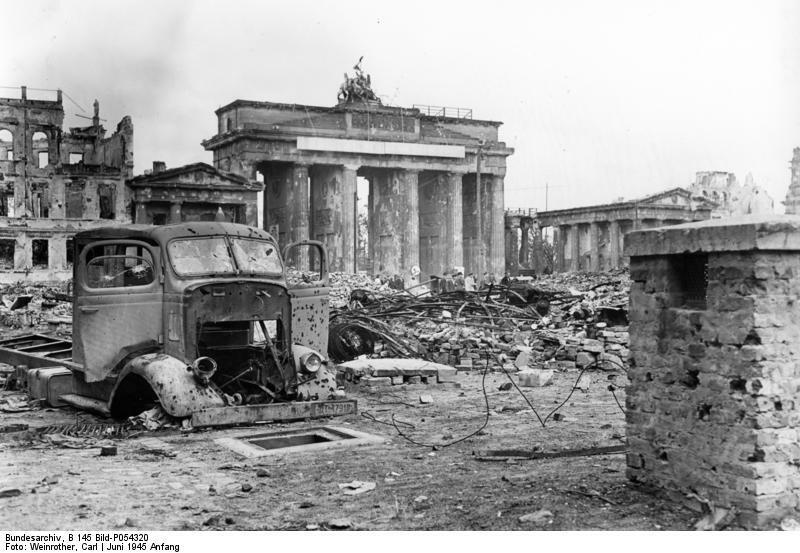 Although most buildings in the vicinity being completely destroyed the Brandenburg Gate survived. Battledamage debries and fortifications arround the area. 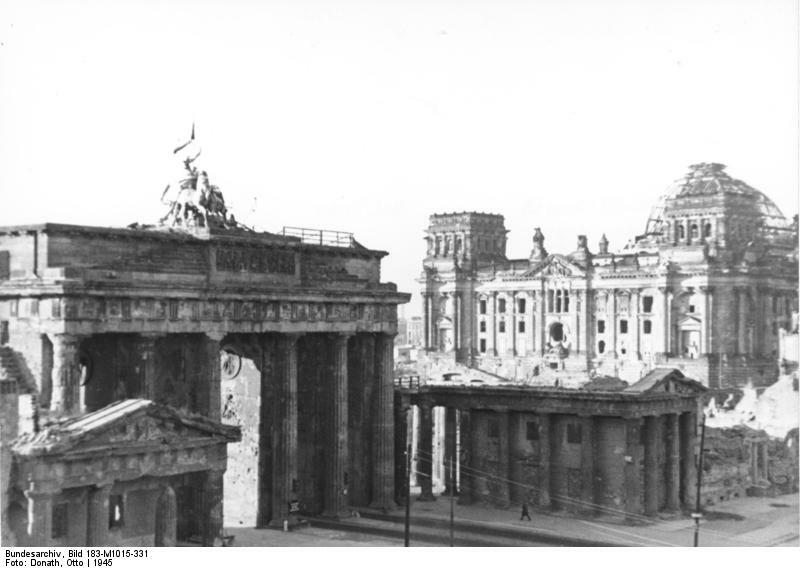 The Brandenburg Gate and the Reichstag right after the war. 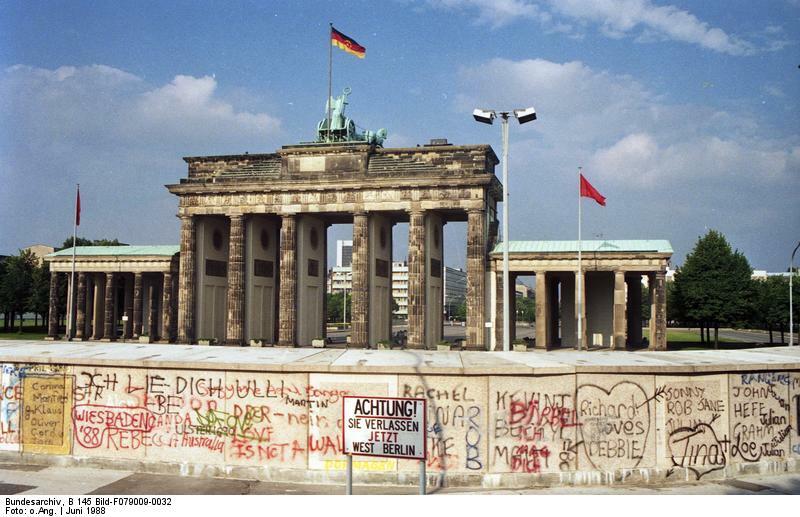 Since it was on the border between the British and the Soviet sector many people used it to get into the other part of the city. This was possible until the wall was built. 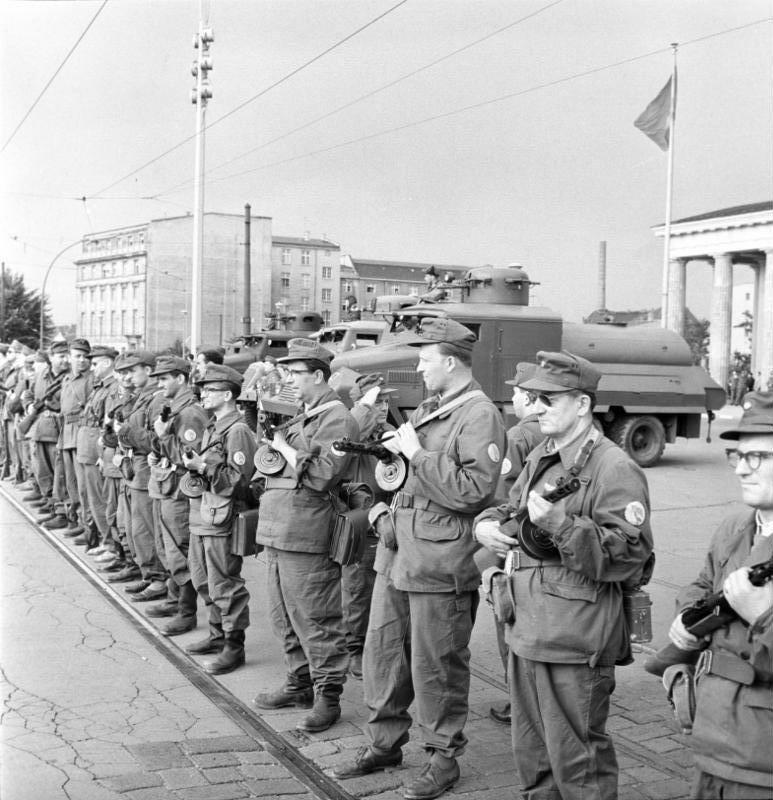 On the day the wall was built East German Kampfgruppen a paramilitary force was protecting the border and preventing east Germans from fleeing and west Germans to disrupt the construction workers. 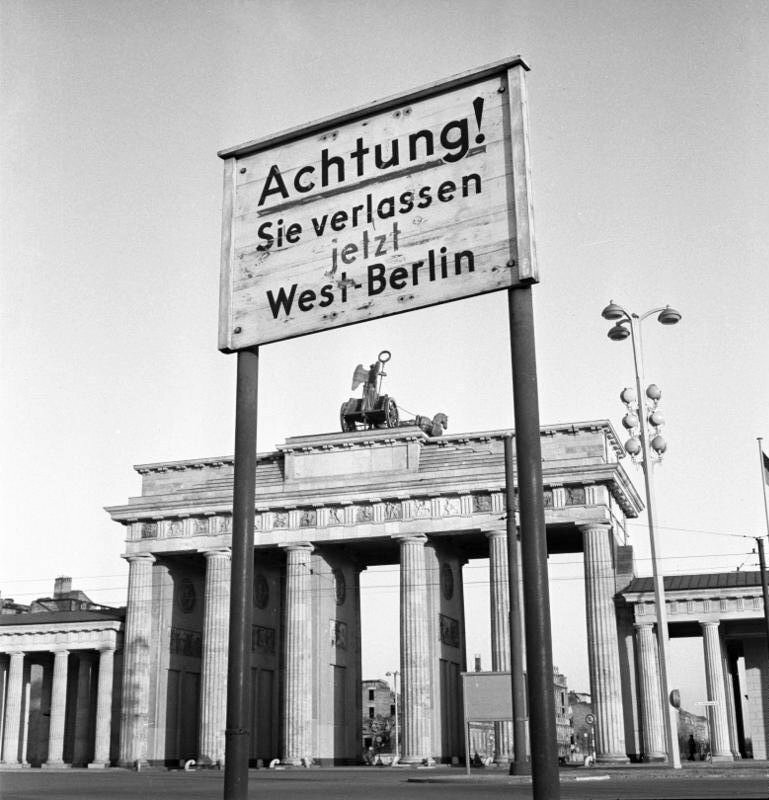 After the reunification the Brandenburg Gate was opened for traffic again. Exhaust fumes and the vibrations from vehicles were damaging the old landmark. Today it is closed for motorized vehicles making it even more attractive for tourists to visit on foot.